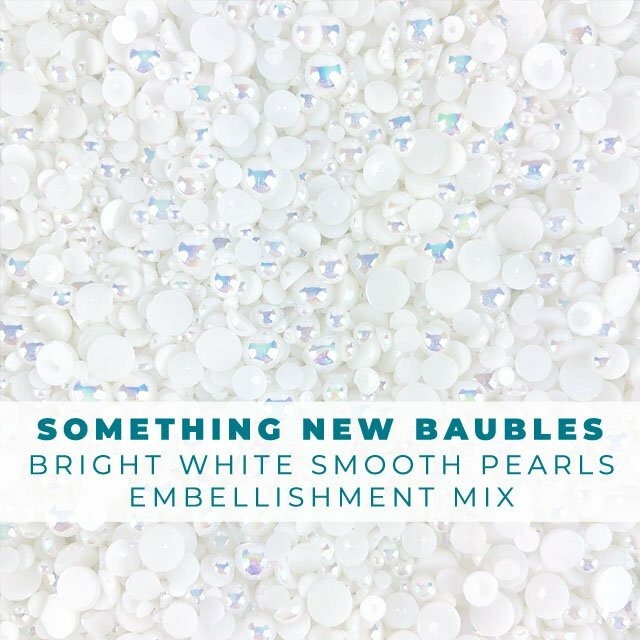 These beautiful iridescent smooth white beads are flat backed for easy adhering to your projects. White Opaque bead sizes range from 1.5 cm to 8 cm. Bag and box both contain one heaping teaspoon full of these white baubles.